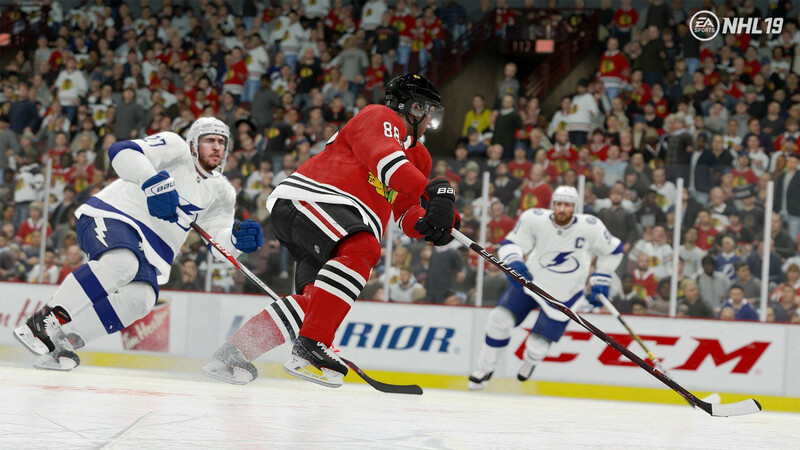 The first news on Franchise Mode for NHL 19 has arrived, with the focus at least for the initial reveal entirely on the scouting element of the mode. That’ll now involve putting together teams of up to 20 scouts for the pro and amateur ranks, along with the option to hide some attributes that are only revealed by having actual scouts in attendance for players’ games. Assemble a team of up to 20 amateur and pro scouts that specialize in different skills and regions. Scouts now have over 30 ratings that determine their ability to scout players, with two areas of expertise known as Evaluation Abilities and Region Familiarity. Evaluation Abilities assess skills such as shooting, skating ability, or a player’s character, as well as ratings on the scout’s efficiency and how adept they are at discovering prospects. Region Familiarity will give you a sense of a particular scout’s abilities in certain parts of the world, while spending time in these regions can help scouts improve their ratings in different countries. Amateur scouting is more detailed, too, featuring a central scouting rank for each prospect that can be compared against the information your team of scouts has collected. New reports provide insightful information about a prospect entering the NHL, including point totals from various junior leagues, player personality, potential, and strengths and weaknesses that compare them to a similar NHL player or alumni. The report also includes a Skills Assessment, Scout Rank, and information on a skater’s playstyle, like playmaker or two-way forward. Accuracy Ratings add an element of risk and reward, as selecting a prospect based on a confident assessment from your scouts could be the difference in drafting an elite potential prospect. Your scouts will recommend which prospect Gems to go after, and who might be Busts to avoid when drafting. Fog of War is an exciting element that adds a layer of pro scouting to keep you engaged with teams around the league. When enabled, Fog of War will mask certain player attributes as the season progresses, which requires your pro scouts to be sent to watch teams and reveal updated info on the players you want to acquire through trades or free agency. Playing or simulating games against other teams is another way to clear the Fog of War, as it will help improve the accuracy of ratings for opposing players. Your scouts will then provide updated ratings with a level of accuracy to show you how confident they are in their evaluation, as well as a Pro Scout Assessment which tells the user where an opposing player may fit into their lineup. A Personality Assessment will also be available from your scouts, which will give you an idea of how the player will affect team morale, and what kind of fit they’ll be in the locker room. Before acquiring someone, you’ll want to have your scouts clear the Fog of War to see if a player’s ratings have changed in any way.